Reply, for 'Mr Drysdale'. 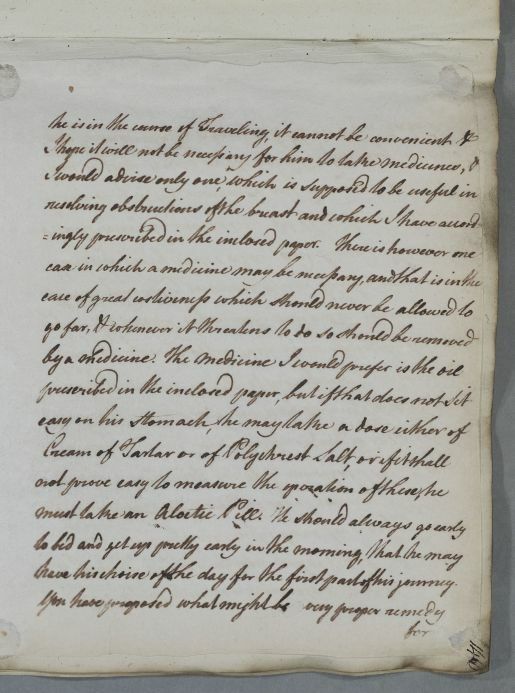 Addressed to Dr Hamilton, concerning Mr Drysdale, in whose case 'Phthisis is to be apprehended'. 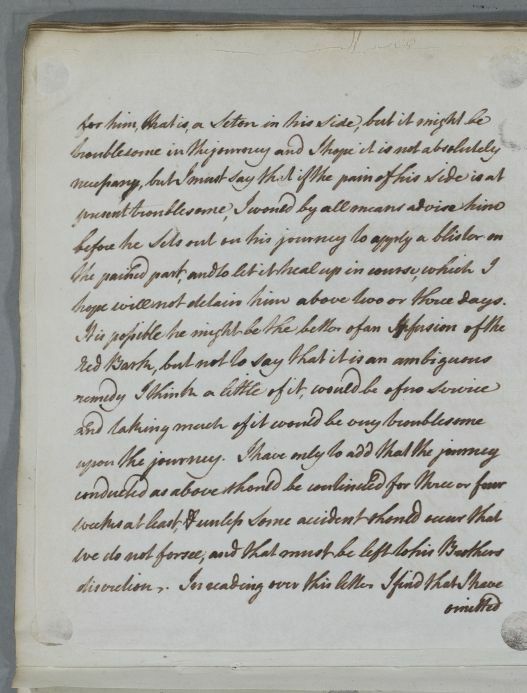 He recommends a voyage or journey: 'what I think is a grea[t] temptation to his immediately trying it is the opportunity he has of his Brothers company during the course of it greatly preferable to that of his spouse' (his brother John Drysdale being a surgeon). 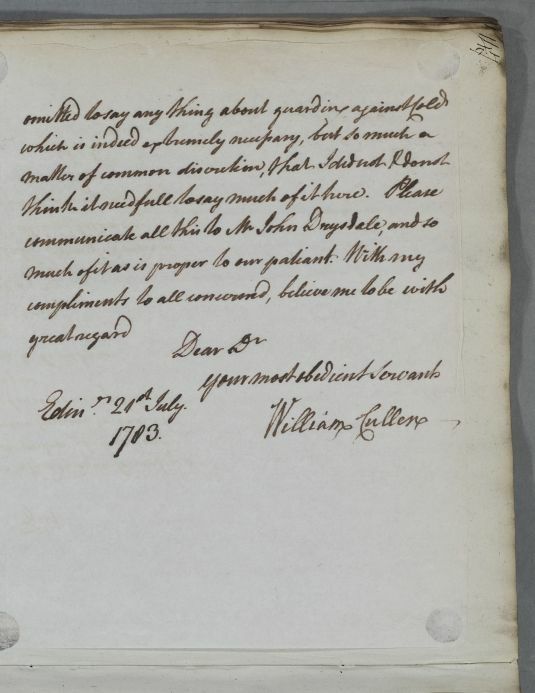 Cullen gives dietary advice and pectoral and laxative recipes. 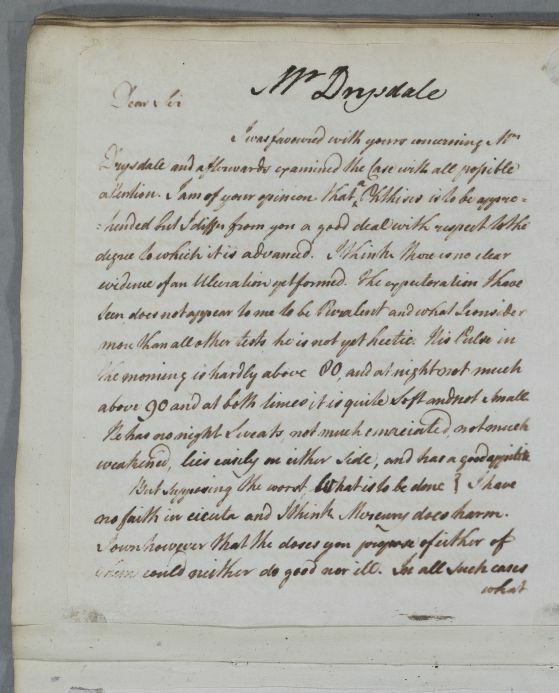 Summary Reply, for 'Mr Drysdale'. 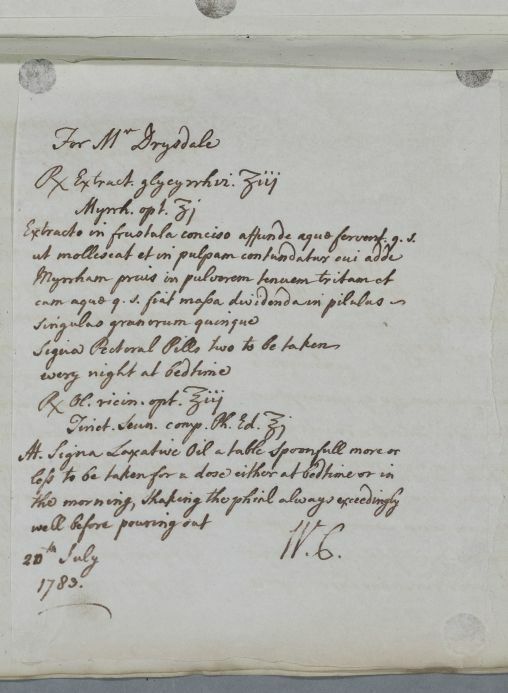 Addressed to Dr Hamilton, concerning Mr Drysdale, in whose case 'Phthisis is to be apprehended'. 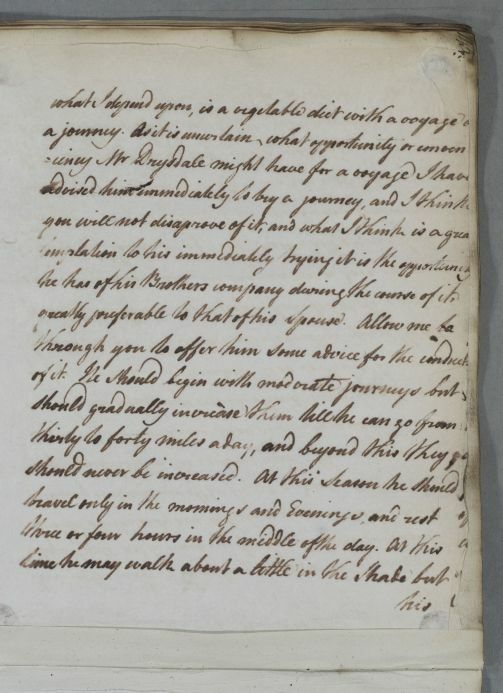 He recommends a voyage or journey: 'what I think is a grea[t] temptation to his immediately trying it is the opportunity he has of his Brothers company during the course of it greatly preferable to that of his spouse' (his brother John Drysdale being a surgeon). 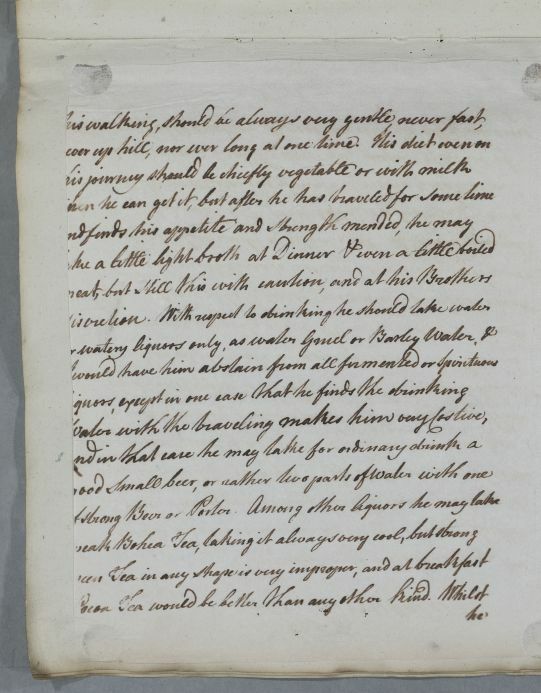 Cullen gives dietary advice and pectoral and laxative recipes. Case of Mr Drysdale declining from a feverish chest complaint and 'a putrid ulcer in his chest'. above 90 and at both times it is quite soft and not small. weakened, lies easily on either side, and has a good appetite. no faith in cicuta and I think Mercury does harm. have his choise of the day for the first part of his journey. hope will not detain him above two or three days. Take three ounces of the best castor Oil, and one ounce of the Edinburgh Pharmacœpia's compound Tincture of Senna. Mix. Label: Laxative Oil a table spoonfull more or less to be taken for a dose either at bedtime or in the morning, shaking the phial always exceedingly well before pouring out. Extracto in frustula conciso affunde aquæ fervent. q. s.